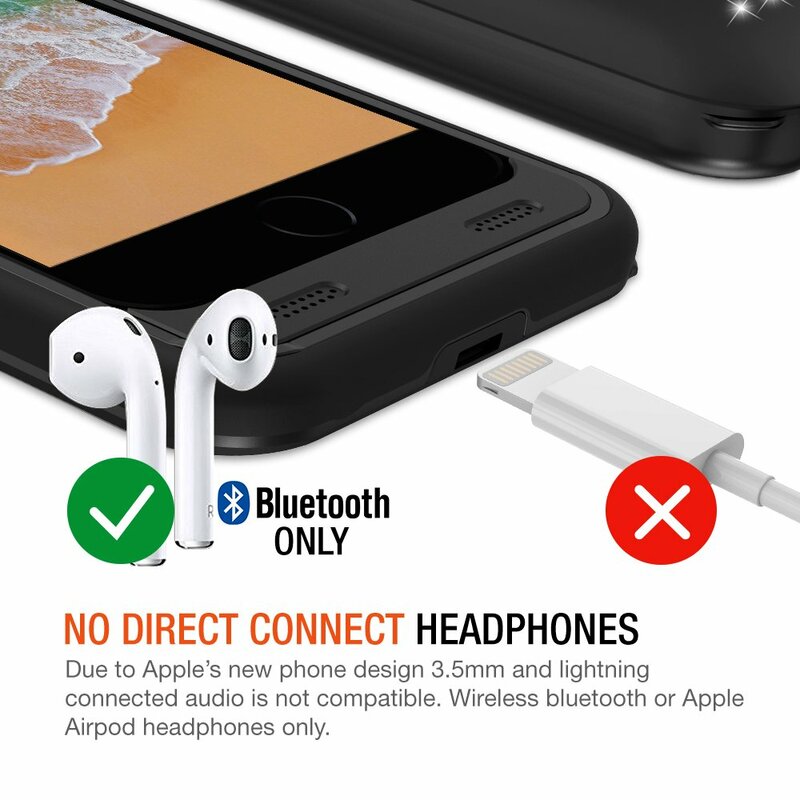 IMPORTANT NOTE: Not compatible with Apple stock or traditional 3.5mm headphones, and other wireless charge pad. 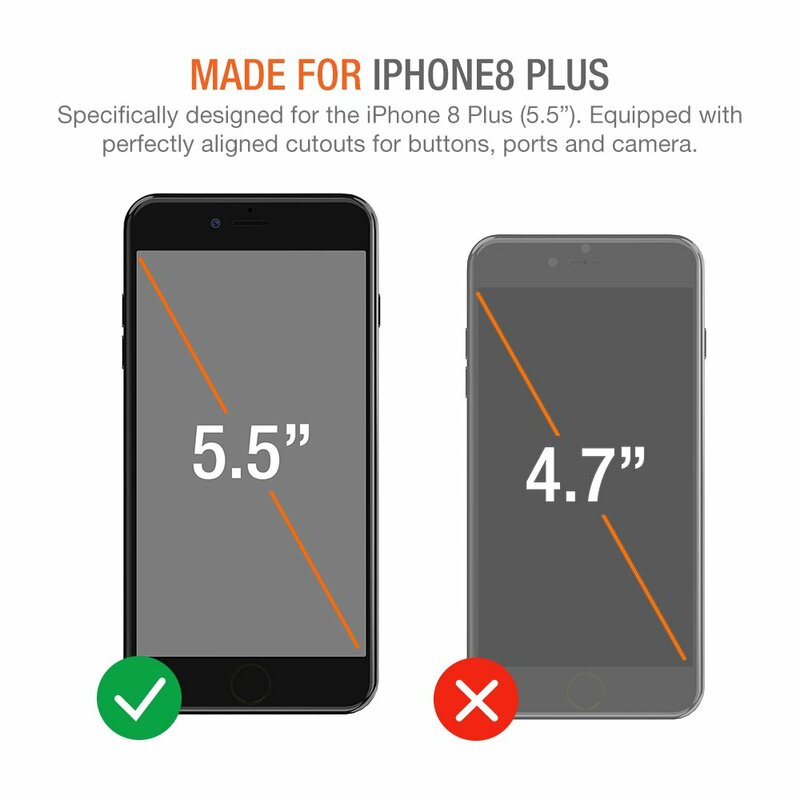 Design to work with iPhone 7 Plus / iPhone 8 Plus Phone 5.5-inch. 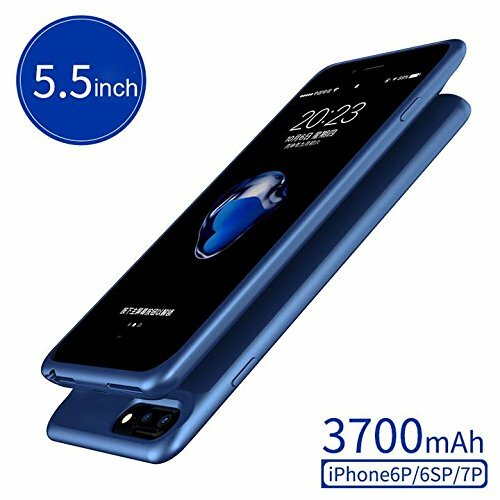 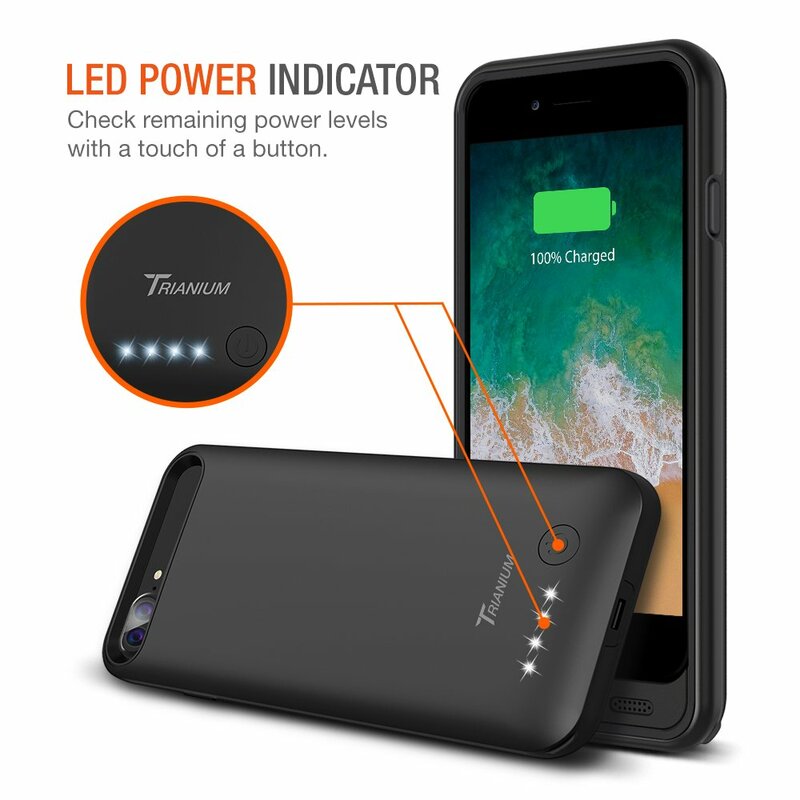 The powerful 4200 Li-polymer rechargeable Atomic Pro battery can effectively provide 100%+ extra battery life to your iPhone 7 Plus/8 Plus, which is equivalent to add 24 + hours talk time or 12+ hours web browsing time and equipped with power level indicator LED lights. 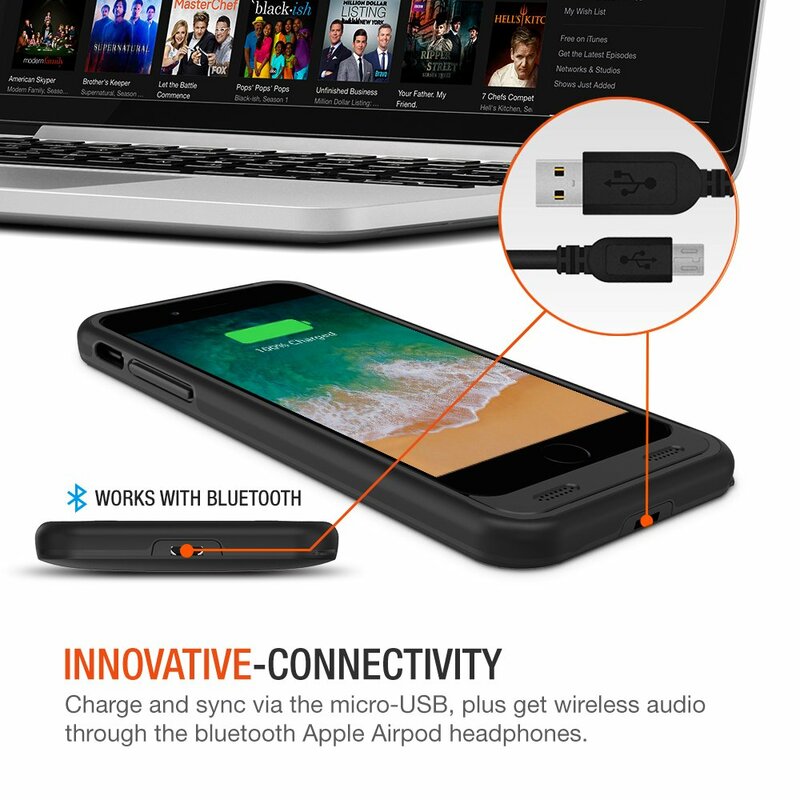 Featuring sync-through technology that you can sync your iPhone to a computer without having to take the battery case off. 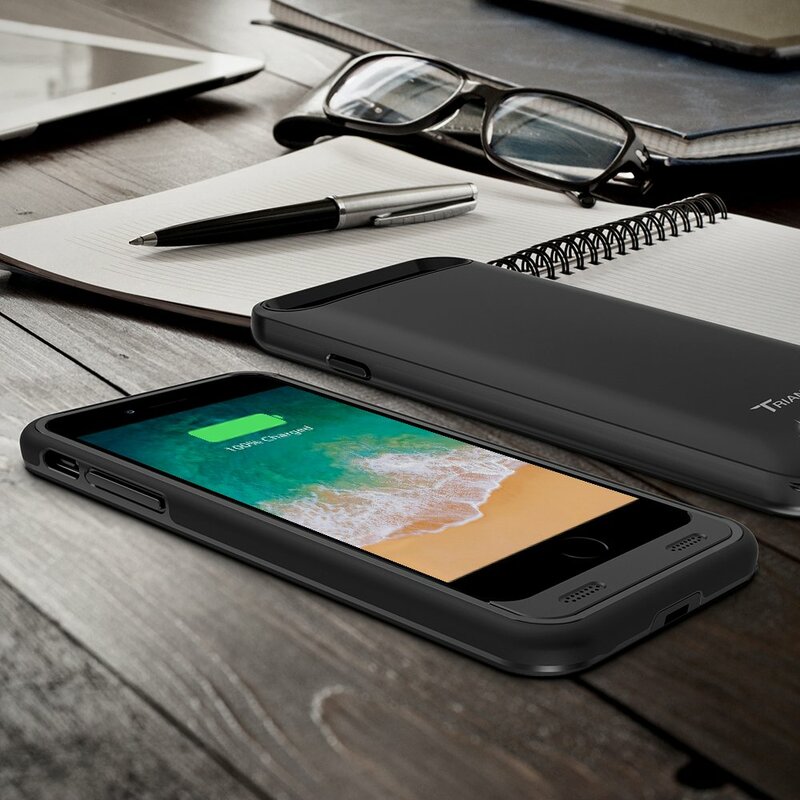 Simultaneously charge your iPhone and battery case together with the included microUSB cable. 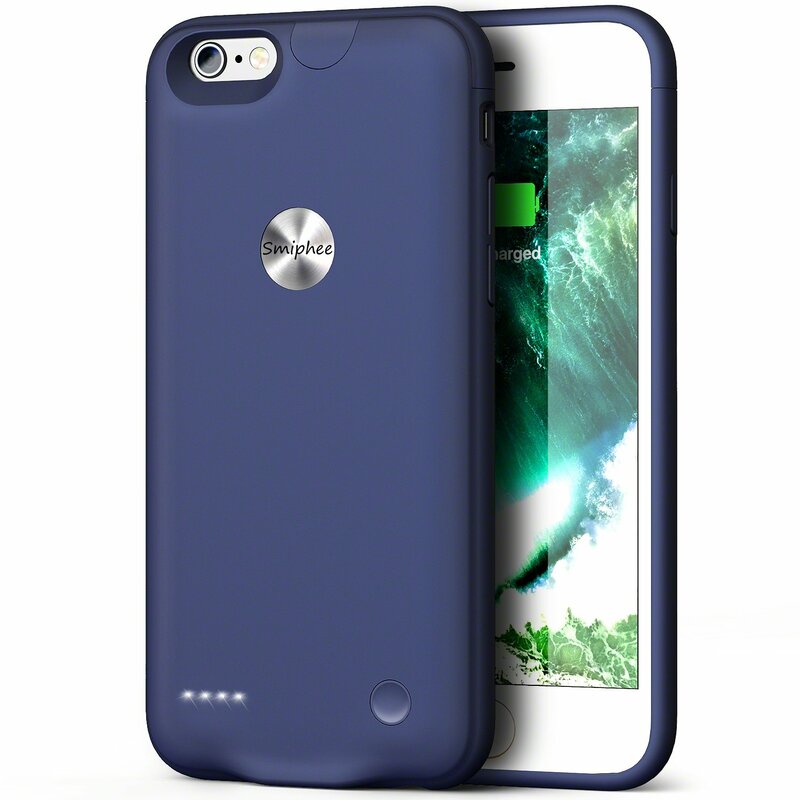 The case deploys microUSB input to lightning pin output to save you $100+ on keeping multiple apple cables. 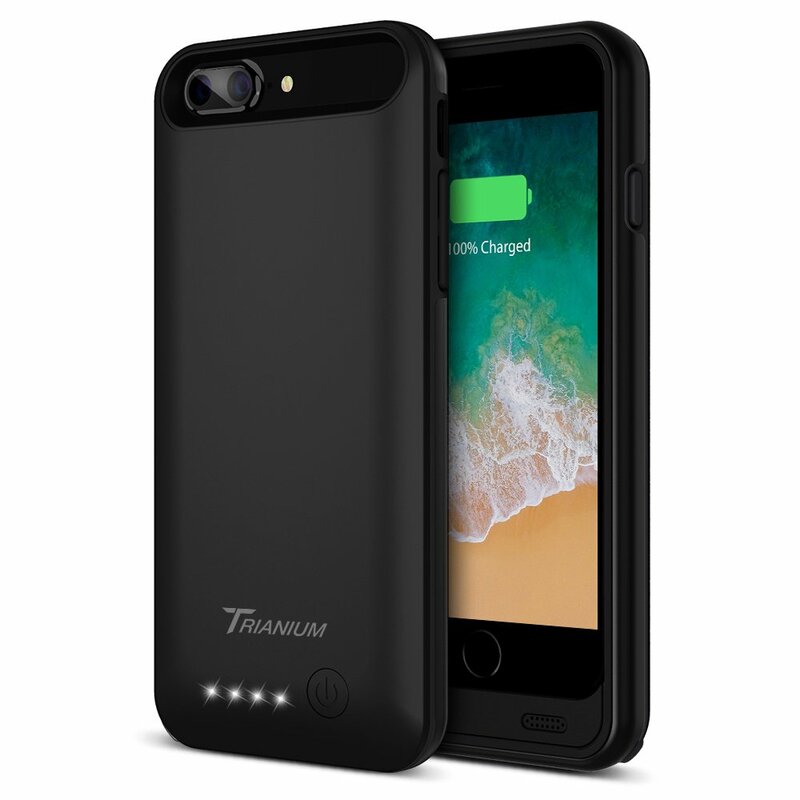 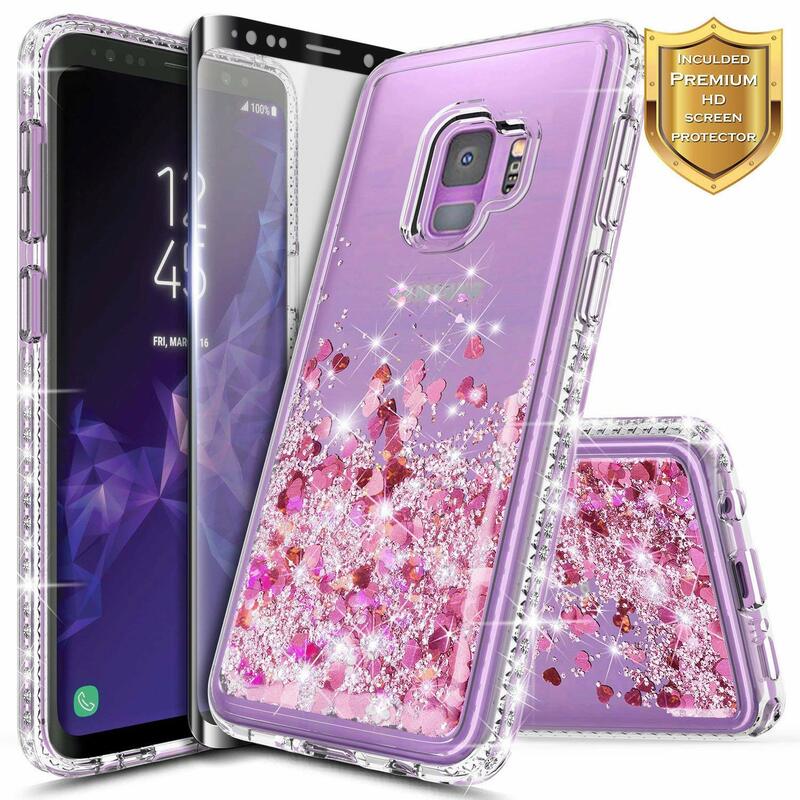 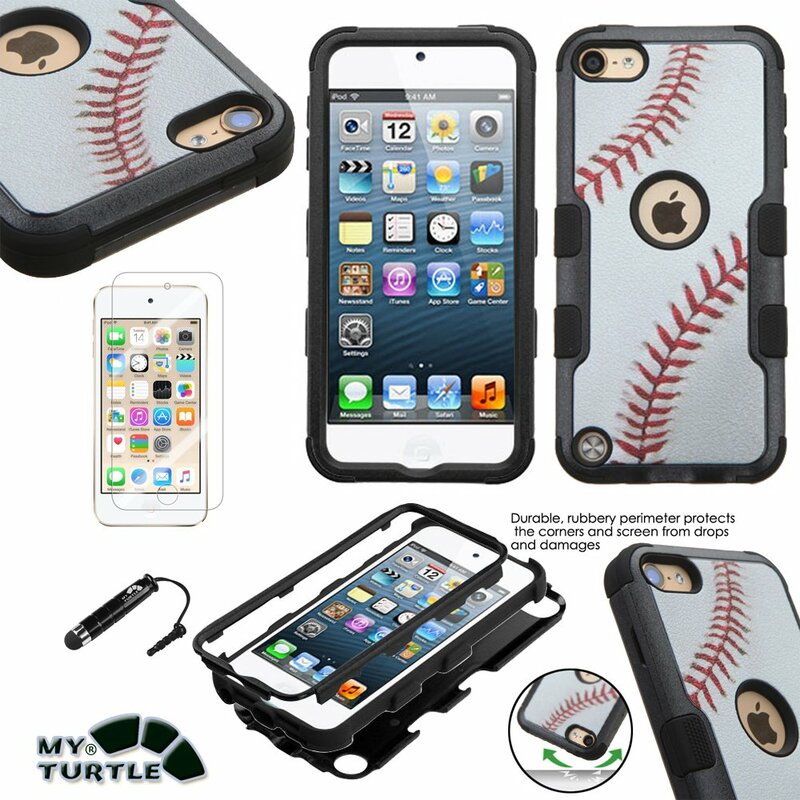 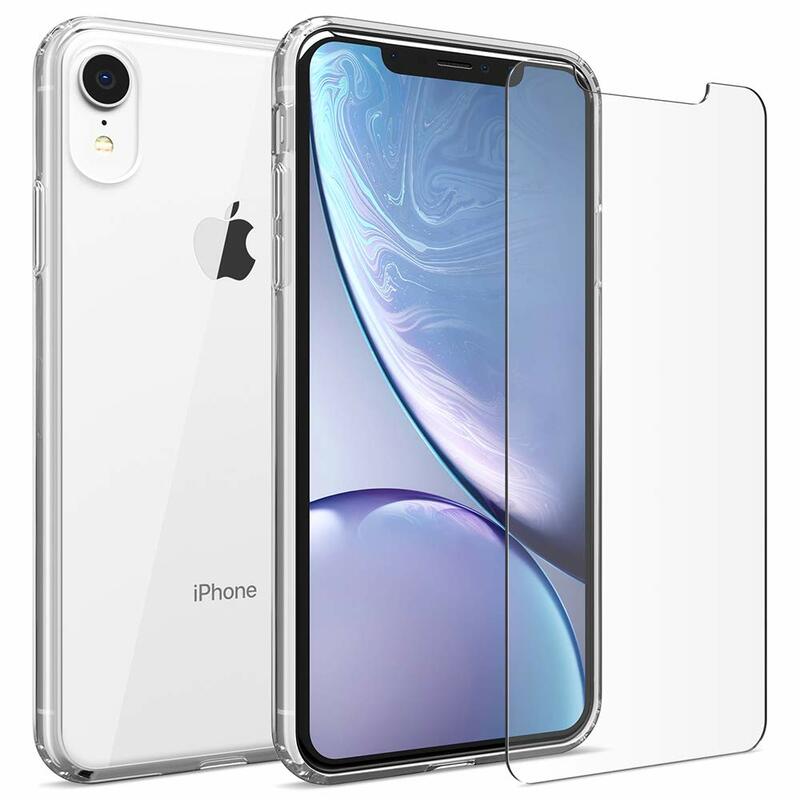 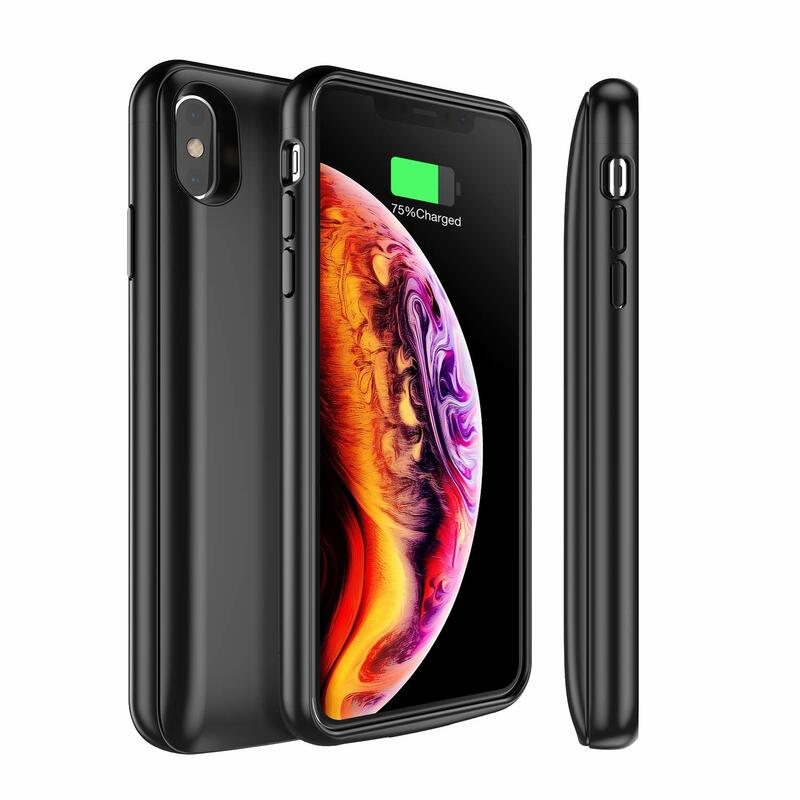 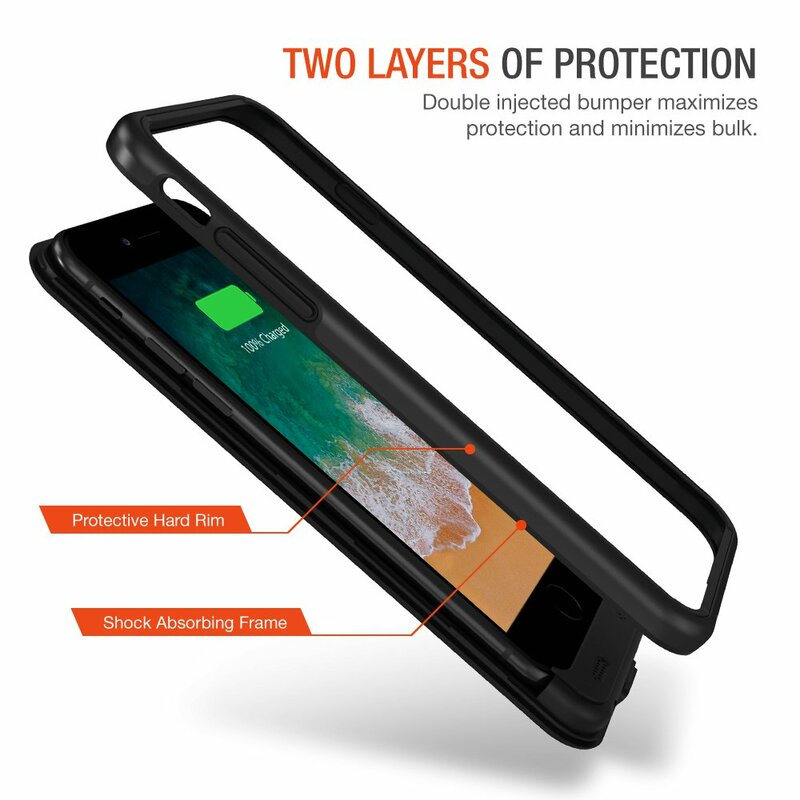 Trianium Atomic Pro iPhone 7 Plus / 8 Plus Battery Case works with iOS11 and all future updates; Comes with "LIFETIME WARRANTY" by Trianium ensure our products work the way you need them to.